While we at Rock City Eats tend to focus on the food scene here in central Arkansas, we’ve discovered plenty of great eats all around the state, too. Arkansas’ highways, byways, and small towns are ripe with numerous excellent restaurants, dairy bars, drive-ins, and bakeries of all sort. In this regular feature, we explore some of these places and encourage you to pull over and sample some of the greatest food from “Around Arkansas.” Next up, a classic Pine Bluff meeting place…Irish Maid Donuts. Where: 2320 S. Blake St, Pine Bluff, AR. Pull Over: Anyone planning a trip to or through “The Bluff” should consider making a stop at Irish Maid. If you’re approaching Pine Bluff from Interstate 530, which circles the town on its southern and western borders, you’ll find Irish Maid is just a short skip off the freeway. It’s simple to drop in and nab some breakfast and coffee to go. Or…sit and stay a while. 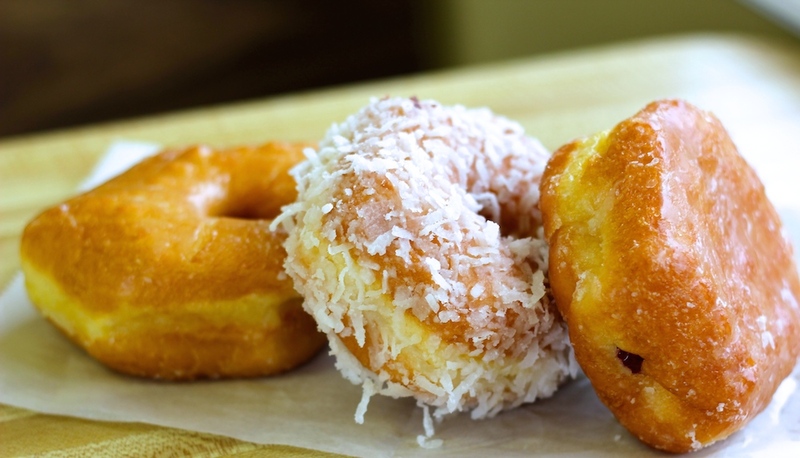 The Story: The origin of Irish Maid’s popular donuts dates back to the 1950’s. Two brothers, Frank and Jim Claghorn, developed the original recipe and went door-to-door selling their wares. 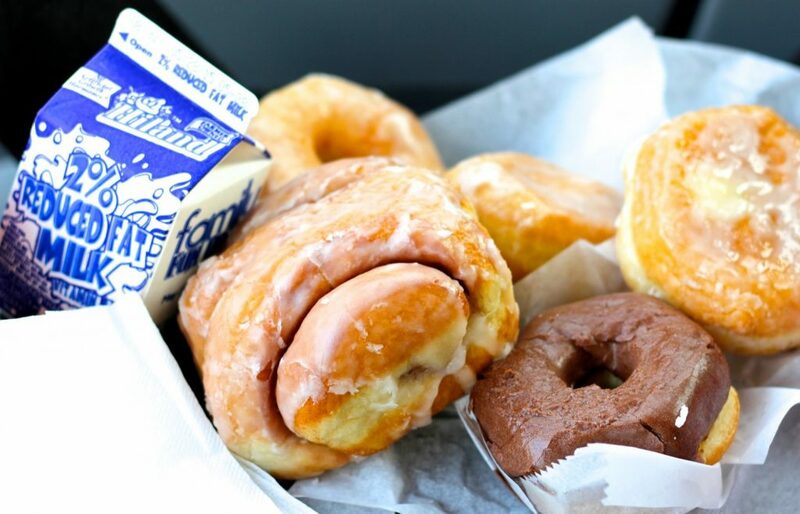 Later, the brothers parted ways…Frank moved to Fort Smith, setting up the first Irish Maid in 1961; Jim decided upon Pine Bluff and opened his donut shop in 1961. The Pine Bluff shop stayed with Jim Claghorn until 1988, when he sold the business to long-time associates, Steve and Chery Grinstead, who continue to operate the Irish Maid in Pine Bluff today. The Food: The Grinsteads prepare their hot, fresh donuts every morning using the same recipes and techniques as the original owners in the 1960s. While you won’t find anything dramatically different about the menu at Irish Maid, you will assuredly find a quality, made-from-scratch product that’s worth waking up for. Standard items include cinnamon twists, plain glazed, chocolate glazed, big swirly cinnamon rolls, maple bars, strawberry glazed, chocolate and vanilla filled. Standouts include a unique apple-filled cinnamon swirls – a large, rolled cinnamon dough, packed with diced apple. Their chocolate glazed should not be overlooked either – they’re using quality cocoa, giving it a flavor that exceeds most other low quality versions you’d find at other chain donut shops. Maple bars are also definitely worth your attention. The Price: It’s cheap. Which is basically what you’d expect for donuts. Everything runs around the $1-2 mark. There’s sodas, coffee, and milk available, too, should you require a beverage. Also CASH ONLY, y’all. The Verdict: The big, beautiful classic sign out front has been welcoming folks for over 50 years. That should tell you something about the quality of these donuts. Longevity like that requires owners who care about producing a respectable product. You’ll find the place full of regulars just about any day of the week – sharing stories over some donuts and coffee, complaining about the Razorbacks, discussing the weather. Irish Maid makes Pine Bluff a better place to be. Address: 2320 S. Blake St, Pine Bluff, AR.